The outlook for zinc appears bullish, says Stefan Ioannou of Haywood Securities, spearheaded by mine closures, dwindling production and the dearth of replacement projects. This looming supply gap could mean increased zinc prices by the end of the year, explains Ioannou in this interview with The Gold Report, a prospect that would bode well for one of the few pure-play zinc producers, as well as for an Australian explorer that may be on the cusp of a world-class discovery. The Gold Report: Many analysts are cautiously optimistic about the price of zinc. Are you? Stefan Ioannou: Yes, we definitely have a good medium- to longer-term outlook for the metal, probably sooner to the upside than for other base metals and commodities. A number of key larger-scale mines have shut down over the last few years. 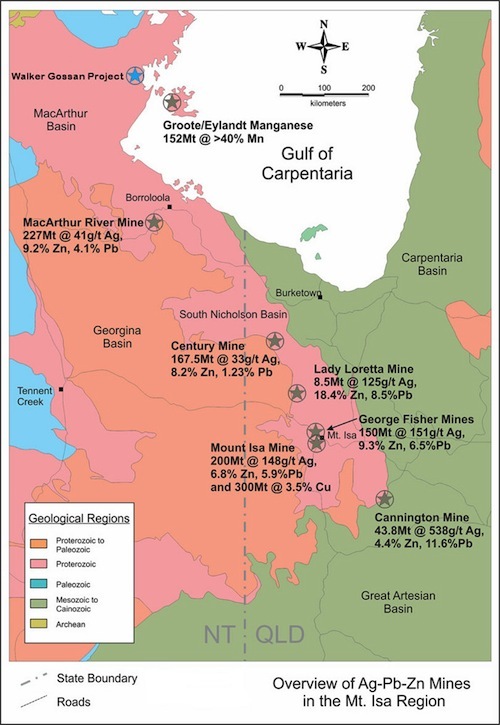 The most recent one was the Century mine in Australia, which produced about 4% of the world's zinc supply. It shipped its last concentrate early this year. In addition, Glencore International Plc (GLEN:LSE), Nyrstar (NYR:BSE) and others have made significant production cutbacks. In all, over 10% of world production has come off, so there's definitely a supply issue looming. Looking to the flip side of the equation—new mines coming on to replace that lost production—there really haven't been any major discoveries or developments in recent times. So we have north of 10% coming off and nowhere near that in new production coming on. A fundamental supply gap is forming, which stands to materialize by late this year, as inventory levels are drawn down to critical levels. Significantly lower year-over-year and spot zinc concentrate treatment charges arguably provide a leading indicator that market participants—namely the refiners—are already anticipating a supply constraint going forward. TGR: What are your zinc price forecasts? SI: We are still relatively cautious on the zinc price through this year. We are using $0.80 a pound ($0.80/lb) for 2016, but expect to see some price strength in the latter half of the year. In 2017, we see prices ramping up to $1.00/lb on average and then $1.20 in 2018. It's admittedly a fairly conservative price deck. If you look back to late 2006, when we saw inventory levels get to a critical level, the zinc price spiked up to $2/lb. Nevertheless, our outlook for the metal is bullish. TGR: What companies are positioned to take advantage of an improving zinc price? SI: The marquee name in the group is Trevali Mining Corp. (TV:TSX; TV:BVL; TREVF:OTCQX); it is one of the only pure-play zinc producers out there. Trevali has been doing a good job at its existing mines. 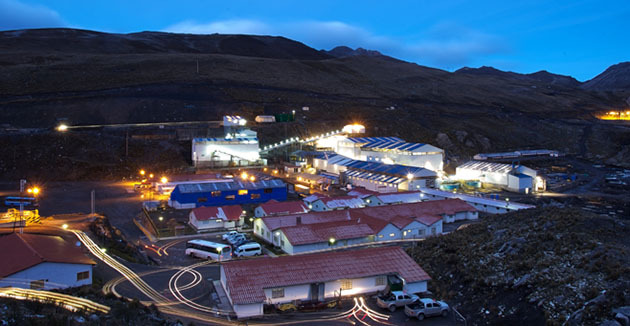 The Santander mine in Peru has been in commercial production since early 2014; it boasts C1 cash costs on the order of about $0.50/lb. Trevali is in the process of ramping up toward commercial production at a second mine, Caribou, in New Brunswick, Canada. While Santander right now produces about 40 million pounds (40 Mlb), when Caribou is up and running, that mine is going to produce somewhere north of 90 Mlb a year. So it's a big growth step for the company. Caribou expands Trevali's geographic footprint and positions the company as the marquee, pure-play zinc producer in the space right now. TGR: Trevali recently released some drill results, correct? SI: On April 7, Trevali announced additional drill results from Santander. The mine was put into production without a feasibility study. Glencore is effectively a partner on the project and was comfortable going into production without a feasibility study, a mine plan or a reserve per se. Trevali continues to drill Santander from underground in conjunction with production, and it continues to hit very high-grade zones, including the Rosa and Fatima zones discovered last year. The most recent results revealed another new, high-grade zone called the Oyon Mantos. These zones boast significantly higher grades than what's going through the mill right now. They are very close to existing mine infrastructure, so they can be incorporated into the actual mine plan very quickly. In the case of Oyon Mantos, Trevali thinks it can feed associated material to the mill by late this year or early next year. TGR: Do you have another zinc name? SI: One interesting explorer is GPM Metals Inc. (GPM:TSX.V). GPM has a property called the Walker Gossan, which is in the McArthur River basin of Australian's Northern Territory. This is a very prolific, world-class lead-zinc mining district. The Walker Gossan was originally staked back in 1972 by Rio Tinto Plc (RIO:NYSE; RIO:ASX; RIO:LSE; RTPPF:OTCPK). It identified lead-rich gossans at surface, but was only able to do limited exploration work on the project in part because of the implementation of the Aboriginal Land Rights Act in 1976. That held project advancement up. Subsequent political and social developments in Australia, including the Reconciliation Policy of the late 1990s and the progressive outlook of this generation of indigenous leaders, have resulted in a more open stance to the development of mineral resources on Aboriginal land. Just last July, GPM received approval to proceed with exploration on key areas of the Walker Gossan, which is the only known major gossan in the district that has not been drill tested. Most other large gossans within the district contain world-class deposits—for example Glencore's 227-million-tonne MacArthur River mine. GPM plans to drill test the 3-kilometer long anomaly this summer. The program will likely include about 5,000 meters of core and reverse circulation drilling combined—probably around 20 holes. We're going to know fairly quickly what the guts of this anomaly look like beneath the surface. TGR: Are there any other zinc plays you would like to mention? SI: Given the conditions of the markets, don't forget the midtier producers that have notable zinc exposure in their profiles, such as Lundin Gold Inc. (LUG:TSX), HudBay Minerals Inc. (HBM:TSX; HBM:NYSE) and Nevsun Resources Ltd. (NSU:TSX; NSU:NYSE.MKT). They provide the added benefit of a polymetallic profile, which can buffer price volatility associated with one particular metal. TGR: Thank you, Stefan, for your insights. 1) Patrice Fusillo conducted this interview for Streetwise Reports LLC, publisher of The Gold Report, The Energy Report and The Life Sciences Report and is an employee Streetwise Reports. She owns, or her family owns, shares of the following companies mentioned in this interview: None. 2) The following companies mentioned in the interview are sponsors of Streetwise Reports: Trevali Mining Corp. The following companies mentioned in the article are billboard advertisers of Streetwise Reports: GPM Metals Inc. The companies mentioned in this interview were not involved in any aspect of the interview preparation or post-interview editing so the expert could speak independently about the sector. Streetwise Reports does not accept stock in exchange for its services. The information provided above is for informational purposes only and is not a recommendation to buy or sell any security. 3) Stefan Ioannou: I own, or my family owns, shares of the following companies mentioned in this interview: Lundin Mining Corp. I personally am, or my family is, paid by the following companies mentioned in this interview: None. My company has a financial relationship with the following companies mentioned in this interview: Lundin Mining Corp. and Trevali Mining Corp. I was not paid by Streetwise Reports for participating in this interview. Comments and opinions expressed are my own comments and opinions. I determined and had final say over which companies would be included in the interview based on my research, understanding of the sector and interview theme. I had the opportunity to review the interview for accuracy as of the date of the interview and am responsible for the content of the interview.